The data center remains pivotal to delivering IT applications for commercial and consumer consumption. In the region, the investments continue to be robust. Strong economic growth, rapid take-up of smart devices, the rise of Smart Cities, and increased investment in mega projects like World Expo 2020 in Dubai and 2022 FIFA World Cup Qatar are all driving business demands for more agile IT infrastructure. The data-centers of today are evolving to support the newer data intensive applications with real time output. 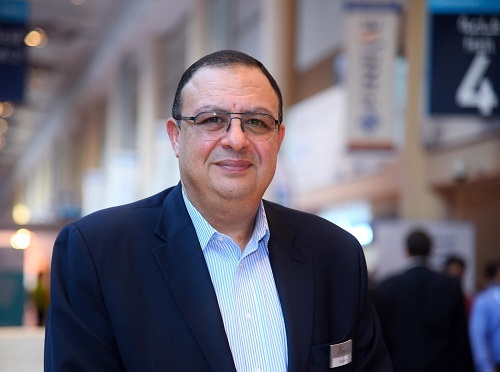 Summarizing the changes and trends being see in the data center segment, Tarek Helmy, Regional Director Gulf and Middle East, South & East Africa of Nexans Cabling Solutions says, “The pace of innovation in data-centre infrastructure is increasing with more innovation in the past five years than in the previous 15 years. With the ever-increasing number of mobile devices and IoT (Internet of Things), data has also grown and increased exponentially. Data centers today need higher speeds, greater design flexibility and a cost-effective migration path. There are a lot of changes going on in data centers such as centralization of sites and growth of cloud based solutions. They also require greater design flexibility and a cost-effective migration path. The trend in data centers is towards more data and bandwidth. Data center infrastructure is now seen to extend beyond brick and mortar walls. There is a lot of data today being hosted with external service providers. Servers are getting consolidated and virtualized. 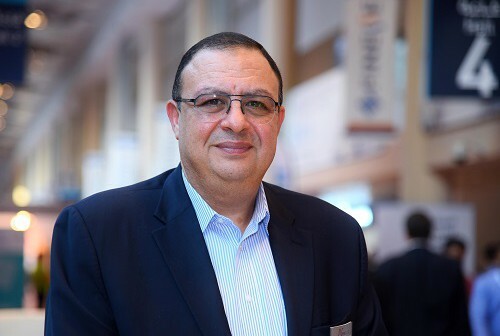 Massive data volumes, speed of data accessibility and the longevity of data are key drivers for the transformation of data-centers in the Middle East. Cloud computing is one of the main technologies driving this change. Among other aspects, network monitoring and management as well as integrated infrastructure are key facets of the next generation data center. More global co-location third party data-center service providers are establishing their presence in the region. More customers, both in the enterprise and the SMB are preferring co-location as an option to manage their IT needs. He adds, “Many enterprises, managed services providers and cloud providers in the region are choosing co-location, where they lease the data center space rather than buying or building their own data centers. This is especially true in the case of SMB’s who are looking to build business continuity and disaster recovery solutions without incurring the high cost of building a secondary or a tertiary data center within a country. Co-location service providers can benefit from economies of scale, and thus are able to provide cost effective and attractive DRaaS offerings to lure SMB’s in. Cloud adoption has matured to an advanced stage where enterprises are increasingly relying more on cloud infrastructure. With hybrid cloud deployments very much part of IT enterprise investments in infrastructure build-up, CIOs are faced with choices as to best options. Data integrity may influence the decision making of Enterprise to SMB customers who may prefer cloud services hosted from locally based data centers. The software defined focus in networking, storage, compute etc is rising. Cisco is focused on innovations that break down silos across the components of the data center, and add programmability to all layers of the data center to support increasingly virtualized and distributed applications. Among Cisco’s innovations are the Unified Computing System (UCS), which uses a Unified Fabric to converge both SAN and LAN connections into a single infrastructure and Cisco’s Application-Centric Infrastructure (ACI), or SDN 2.0, which simplifies and accelerates the deployment of applications, reduces IT costs and operational errors, and helps make businesses more agile. “Today’s data center architecture must support a highly-mobile workforce, proliferation of devices, data-driven business models, and be capable of seamlessly incorporating cloud applications and services. To meet these diverse requirements, Cisco offers the Unified Data center platform, a unified data center architecture that combines compute, storage, network and management into a platform designed to automate IT as a service across physical and virtual environments, resulting in increased budget efficiency, more agile business responsiveness, and simplified IT operations. Cisco’s competitor, Juniper’s new Open Cloud incorporates technologies in routing, switching, packet optical, network management and software-defined networking (SDN) Interconnect. It offers customers a flexible and open approach to architecting data center networks to meet the demands of public, private and hybrid multi-cloud environments. One of the fundamental principles of the data center of the future, both globally and in the Middle East region, will be the ability to dynamically deliver business critical applications. To enable this, next generation data-center infrastructure also entails a focus on the structured cabling part. Else, with Internal data center traffic expected to grow 80% over the next three years, networks are at risk of becoming bandwidth bottlenecks. It has become more imperative than ever for data center infrastructure managers to carefully consider their network architecture. In today’s competitive business environment, there is a need to implement the most cost-effective, future-proof connectivity infrastructure quickly and efficiently. Server virtualization is one of the trends in increasing the efficiency of data centers; however, it can lead to stresses in the supporting connectivity infrastructure. Cabling needs to support the increasing need for high speed and bandwidth. Looking at bandwidth needs in data centers, data center connectivity can be seen as “switch-to-switch” vs. “server-to switch” links. Optimum set ups include a mixture of copper and fiber cabling. Copper cabling should support migration paths to connect servers running from 1G to eventually 25G and possibly 40G whereas fiber cabling should connect network switches running from 10G to eventually 100G. Good quality cabling and careful design help to minimize disruptions. As part of its vision of supporting the world’s growing data needs, Nexans recently launched new copper-based solutions to support bandwidths of 25Gb/s and 40Gb/s Ethernet and ultra-high density LANmark ENSPACE solutions for data centers. Dr. Rick elaborate the importance to future proof structured cabling as it is always an extensive upgrade and therefore is quite wise to do it with a longer time frame in context. While the data center continues to evolve as the hub of IT infrastructure that enables IT applications, the challenge is to future-proof the data center and how you should manage and support your data center and your on-premise systems. Among the challenges anticipated, data centers in future will have to manage application solutions based on containers and micro-services delivered in the cloud and utilising software defined networks (SDN), and network function virtualisation (NFW).